Olga Weisfeiler, who has been fighting to learn the truth of her brother Boris’s disappearance in Chile 25 years ago, this week decried the lack of interest and support given her by U.S. officials. Despite evidence that Weisfeiler - a University of Pennsylvania mathematics professor vacationing in Chile - was arrested by Augusto Pinochet’s military and brought to a torture center, his case has yet to be declared a human rights violation by Chile’s courts or government. 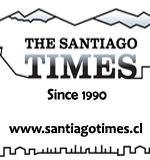 Ms. Weisfeiler told The Santiago Times over the weekend that within the past four months each of the United States’ foremost three executives – Secretary of State Hillary Clinton, Vice President Joe Biden, and President Barack Obama – has met with Chilean President Michelle Bachelet, yet none expressed concern about the Weisfeiler case to Bachelet. “I want the United States to push Chile’s government to authorize FBI participation in the investigation, and to reclassify her brother’s case as an acknowledged human rights violation,” said Ms. Weisfeiler. Ms. Weisfeiler said, however, that the new U.S. administration has let her down. She, with the help of U.S. Congressman Barney Frank and U.S. Senator Ted Kennedy, repeatedly asked the U.S. executives to press Bachelet into concrete action in the investigation of her brother’s disappearance – all to no avail. Ms. Weisfeiler learned from Chilean press members at Obama’s June 23 meeting with Bachelet in Washington D.C., however, that the U.S. president did not bring up the subject of her brother’s investigation. Nor did Vice-President Biden during his meeting with Bachelet at the April 27 Progressive Governance Conference in Chile, despite his access to a full brief on the Weisfeiler case prepared for him by the U.S. embassy in Santiago. Ms. Weisfeiler worries that as more time passes, the investigation into her brother’s disappearance will become increasingly more difficult. 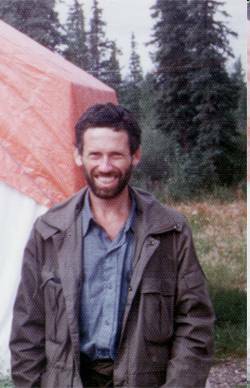 This January will mark the 25th anniversary of the avid outdoorsman’s disappearance while on a hiking trip near the Argentine border in southern Chile. Pinochet-era authorities concluded in a cursory investigation that the 43-year-old U.S. citizen had drowned in the Ñuble River, Region XIII. But U.S. documents, held as classified until 2000, told a different story. Two years after Weisfeiler’s disappearance, an informant known only as “Daniel” told U.S. embassy officials that he had been a member of a military patrol that arrested Weisfeiler in 1985 and brought him to Colonia Dignidad, a secretive German colony founded in the 1960s by former Nazi Paul Schafer and used as a torture center during the Pinochet era. The U.S. government, however, withheld that information from Chile’s 1990-1993 Truth and Reconciliation Commission, created to investigate the human rights crimes committed during the military dictatorship. Because of the U.S. government’s refusal to disclose the documents, Boris Weisfeiler was the only one of Chile’s more than 1,100 disappeared not classified as a human rights victim by the Commission. Seventeen years later, and nine years after the U.S. government declassified the documents alleging Weisfeiler’s arrest and internment in Colonia Dignidad, Chile’s courts have still not reclassified his case as a human right’s violation. Olga Weisfeiler had hope for forward movement in 2008, when a bill to establish a Human Rights Institute, which would accept new applications for human rights cases, passed Chile’s Chamber of Deputies. But after local human rights groups rejected the proposed Institute because it would not have the power to press legal charges against human rights violators, President Bachelet withdrew the bill from Chile’s legislature (ST, Sept. 1, 2008). Despite Bachelet’s stated commitment to amending the bill and creating the Human Rights Institute, no further progress has been made. Now, Ms. Weisfeiler sees the involvement of the FBI as her only hope in finding justice in her brother’s case, which she had reopened to judicial investigation in Chile in 2000. Presiding Judge Jorge Zepeda, however, has so far refused to give the FBI legal authority in the investigation and Bachelet’s government has neglected to request FBI assistance in the case, despite Ms. Weisfeiler’s repeated appeals. “The case will not progress until the U.S. government comes forward with a strong statement requesting immediate action,” Ms. Weisfeiler told The Santiago Times in April 2009. Yet each of the United States’ top three executives failed to even mention the Weisfeiler case to Bachelet – a worrisome lack of commitment from the new administration, said Ms. Weisfeiler. Ms. Weisfeiler said she does not put any hope in Paul Schafer ever revealing information on her brother’s case. The 87-years-old founder of Colonia Dignidad was hospitalized in critical condition at the beginning of July. He was sentenced to 20 years in jail in 2006 for the sexual abuse of minors, arms trafficking, and human rights crimes. Prison for human rights violators does not compare to the prison experienced by those awaiting justice for the crimes committed against their loved ones, said Ms. Weisfeiler. Web Business Consulting by The Chiron Group.